While there a variety of digital marketing methods now available, media buying is still at the top of the list when it comes to efficacy and significance. The best any business can do is get ahead of what is trending in digital advertising, become more familiar with shifts in technology, and learn more about who its customers are. According to the Interactive Advertising Bureau, domestic digital advertising was up 20 percent last year, topping out at $59.6 billion. Among this growth, mobile adverting and social media took center stage, each growing more than 50 percent respectively in 2015. Digital advertising has enjoyed significant growth for six years running, and there’s no cause to think it will stagnate anytime soon. What’s Currently Trending in Digital Advertising? Originally, media buying online was centered on display ads, also called banner ads. In the good old days of the Internet, they were the gold standard and tracked using a basic click-through method to determine if an audience, or channel, was a good fit for a product. Lots of clicks meant people were interested; fewer clicks took media buyers back to the drawing board. Since then, display ads have become one of several advertising tools digital marketers turn to for greater reach within more specific audience segments. But that doesn’t mean display ads aren’t still important. According to one report from imagepak, U.S. digital display advertising will surpass search ad spending in 2016. Of course, the umbrella term “display advertising” now encompasses a few more creative avenues. Among these display types are video ads, rich media content—which includes advanced features like video, audio, personalization—and other elements that encourage viewer interaction, and sponsorship advertising. These things combined are estimated to account for the largest share of digital ad spending in 2016. Video ads aren’t exactly new, but this year Google is getting on board with in-SERP video advertising. Instead of only thinking inside the YouTube box, businesses should consider how video advertising can be used across the web, in PPC advertising, on social media, and in native advertising. 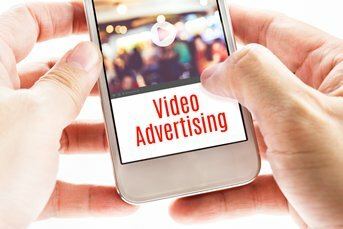 The fact that Google is allowing video advertising in searches isn’t just good news for your products; it’s also a sign that users are more receptive to what video ads have to say. Another emerging trend among display advertising involves personalization or dynamic display advertising, which shows personalized content to consumers from a feed your businesses controls. With this type of display, you can change what a consumer sees based on the weather in the area, current events and holidays, and other factors like gender, age, and buying behavior. DPMs are large factories of information, pulling data from nearly every corner of the web to help advertisers properly segment a market. These technologies are great at integrating information from multi-channel campaigns and ordering the data into meaningful insights. They also allow you to track or follow consumers with cookies, so you can engage them through practices like retargeting. DSPs let users pick and choose ad buys through automation. In addition to being more efficient, this technology makes media buying cheaper. With it, you can buy impressions for specific users (instead of specific channels) in a real-time auction where automated bidding occurs. Similar to Demand-Side Platforms, these technologies are the automated version of selling digital ads. With them, publishers can connect their inventory with DSPs, Ad Networks, and Ad Exchanges within a single platform. Publishers often use this technology to maximize revenue by showcasing impressions to as many buyers as possible. Through real-time auctions, digital advertisers and publishers gather in virtual marketplaces to buy and sell advertising. Publishers supply their impressions, and buyers review data with technologies like DSPs to make their picks. The benefit of an ad exchange is that marketers can buy media for multiple channels all at once and all in the same place. Ad networks are nothing more than a community of publishers connecting with digital advertisers. Marketers sign up and pick the websites they want their ads to circulate on. Google is the most popular ad network. Finally, to succeed at digital advertising, you must fundamentally know and understand who your consumers are. These days, it’s too expensive to guess or determine characteristics using trial and error, so transforming data into insights is an effective way to eliminate any doubts. Facebook’s ad manager is a powerful analytics tool that can drive all kinds of actions, from app downloads and page likes, to awareness and conversion. In addition to a multitude of engagement opportunities, social media affords deeper insight into who your customers are, and what they care about. To ignore the valuable information available on these low-cost social media outlets would be foolish. Use social media insight tools to help learn about your consumers. With them, you’ll be able to build better messaging in your advertising, which will in turn produce greater ROI for your ad spend. Another tool that helps build and nurture an understanding between you and your consumers is Customer Relationship Management (CRM). CRM refers to technologies, strategies, and practices that analyze customer behavior and data throughout the customer’s lifecycle. Marketers use CRM to improve business relationships with consumers, improve retention, and ultimately drive more sales. If you and your business can stay attuned to digital marketing trends and emerging digital advertising technologies, and strive to serve your customers the best you possibly can, you’ll succeed at digital advertising.